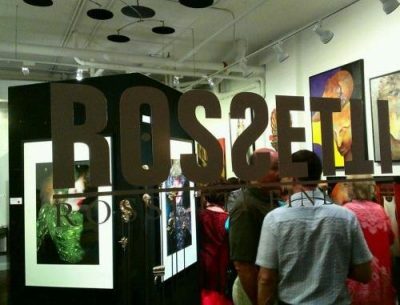 Rossetti Fine Art is calling for entries for “Basel Broward” 2017, Opening December 14 to January 14. This is open media and open theme exhibit for all 2D and 3D works. Artists are encouraged to “think outside the box” and push the envelop. All artists are invited to enter paintings, drawings, sculpture, ceramics, photography, video, etc. and will compete for $500 in cash awards. Artists should to enter their finest works. The artists reception will be held on Saturday December 16 from 7 to 9PM. Requirements: Maximum size 60 x 60 inches, or less than 120 overall inches for 2D. Sculpture maximum size 24W x 60H inches (sculpture OK to exceed dimensions within reason…send email). Wires are necessary for hanging! Works with exposed stapled edges, scratches or damaged frames may be rejected. No works over 2 years old. Please attach name, title, and contact information, phone and to back of each work accepted. Entry Fees: $25 for 1 entry and $10 for each additional entry. Online Entries: All entries are to be submitted online only! Deadline December 7. Send check to Rossetti Fine Art, postmarked by December 7, 2016. Notification: Artists will be notified of acceptance by midnight December 9. Intake: Tuesday December 12, 4:00 to 7:00PM (Accepted works only)! Note: Rossetti Fine Art is a retail gallery and work will be consigned in on a 50/50 commission. (Your price will be doubled) Rossetti Fine Art is not responsible for any loss or damage to artwork in this competition, though every care will be taken in handling your artwork.